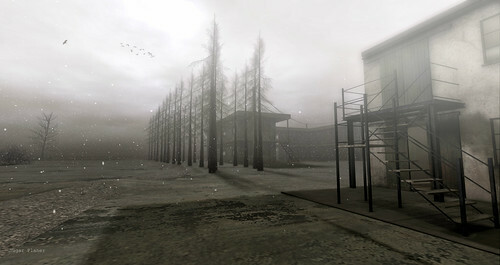 Although few people pass comment on the ground textures at the Second Life version of Furillen, they are – alongside lighting and geometry – crucial to giving the sim its particular atmosphere and feel. What I did here was quite unusual, although certainly not original. I went for complete uniformity. When designing a sim in Second Life you can set the texture of the ground at four different levels. 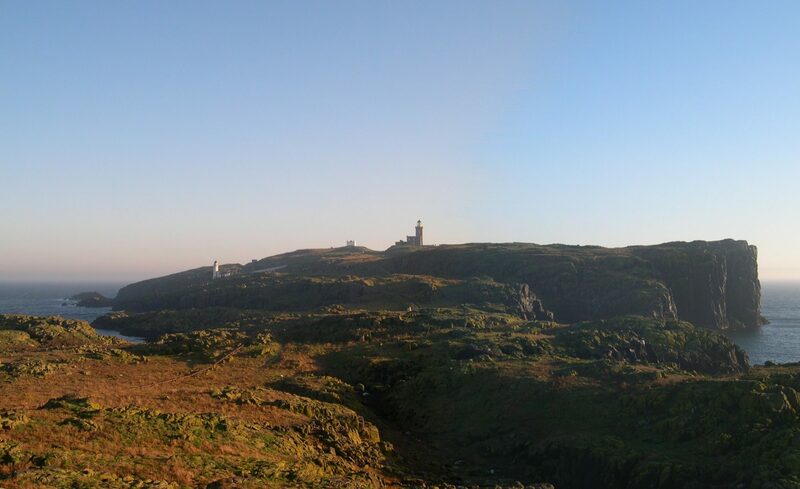 I have the same setting on every level, using an identical concrete texture everywhere – even on the slag heaps. The exact texture I use has changed over time. I started with a realistic concrete – very grey – but although this looked fine in some light, there was a repeat to it that looked too obvious, especially on low graphics. Then, until recently, I opted for a creamier concrete mix, with a grungy tinge to it that was good in most light and graphics settings. Although some people mistook this for snow – and why not, given that the stuff falls constantly at Furillen – it gave the sim a slight weirdness, an air of unreality, that was difficult to pin down. When the light settings were changed recently, the subtle repeat in this texture showed through more: it looked stripy. So I changed the mix. There is now a seamless concrete texture. To me, in this light, the sim looks more surreal than ever.